You are here: Home / Is It Paleo? / Are Sweet Potatoes Paleo? Why Are Sweet Potatoes Paleo? Do Some People Say Sweet Potatoes Aren’t Paleo? Yes. Sweet potatoes are considered to be paleo. Sweet potatoes pass the test because they are low on the glycemic index, they contain high amounts of fiber, potassium, vitamins (particularly vitamin A and beta carotene), and minerals, and low amounts of sodium. 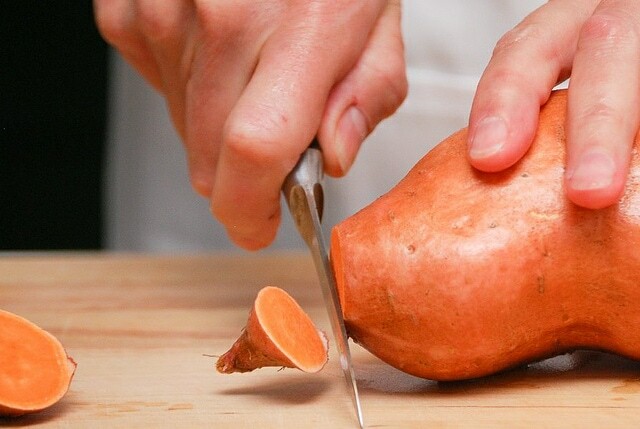 Even though sweet potatoes are starchy vegetables that are high in carbs, their benefits outweigh the negative. Yes, sweet potatoes contain sugars and so they do have an effect on blood sugar levels but this effect happens slowly and steadily. Yes. Some paleo eaters and people opposed to the paleo diet think that sweet potatoes are too high in carbs and that they affect blood sugar levels too drastically to be appropriate for the paleo diet. Critics say that all starchy vegetables should be off-limits on paleo because of the sugar they contain. This includes most tubers (vegetables that grow underground), including beets, carrots, potatoes, and radishes, as well as butternut squash and acorn squash. Many strict paleo followers believe that any disturbance to blood sugar levels is not worth it. If you follow a strict paleo diet, you might want to give sweet potatoes a miss because of the carbs and impact they’re likely to have on your blood sugar levels. Otherwise, you’ll probably be fine with the odd tuber here and there, though keep an eye on the amount you consume if you’re looking to lose weight. Check out is Paleo.io, the mobile app that answers the question, “is __ paleo?”. 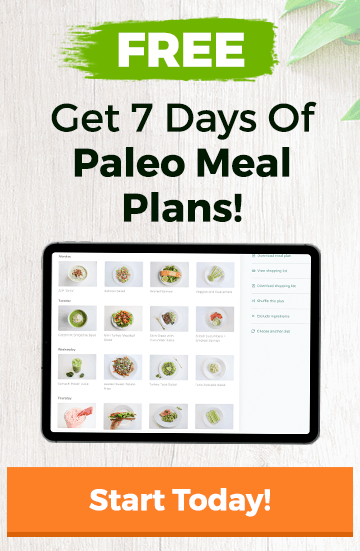 Paleo.io comes with the most comprehensive paleo diet food list out there, so no matter which food you’re confused about, you’ll always be able to find out whether or not it’s paleo. Great information on Paleo diet. Thanks!